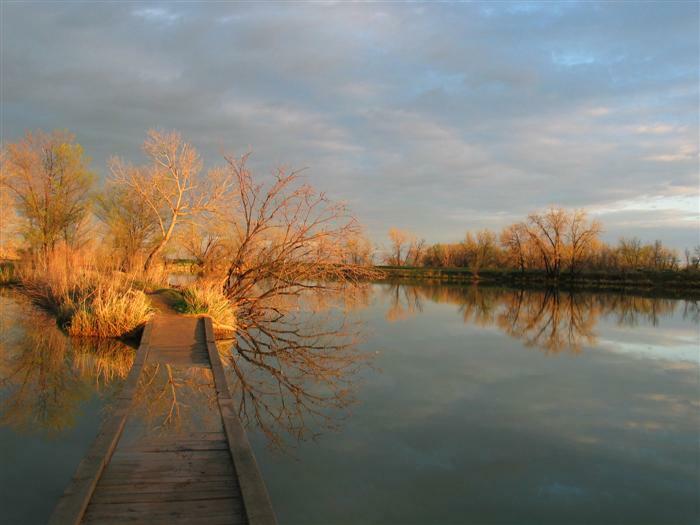 Riverbend Ponds offers a lot of diversity with a stretch of the Poudre River, several ponds and wetlands. 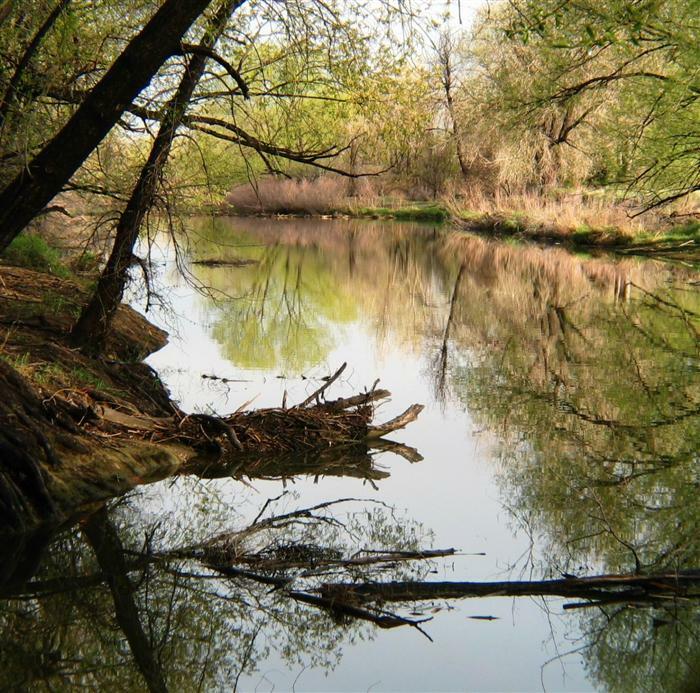 There are seven former gravel mine ponds to choose from so it is a popular fishing site. 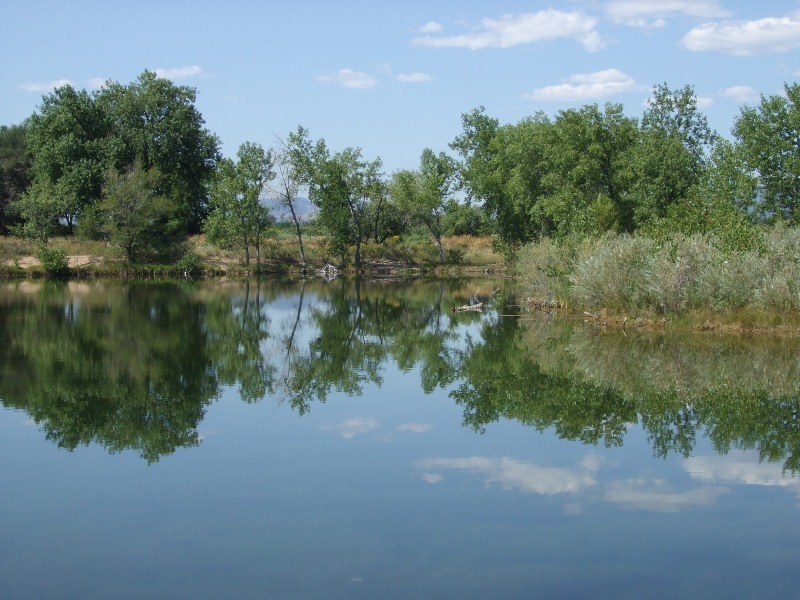 The Colorado Division of Wildlife stocks the ponds with warm-water species (usually largemouth bass, crappie and channel catfish). 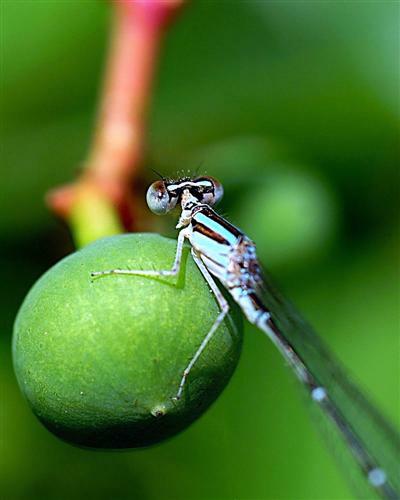 More fishing details are listed here.Birders also enjoy Riverbend Ponds- over 200 species of birds feed, rest, nest, and migrate through including green herons, a wide variety of ducks, American white pelicans, double-crested cormorants and others. 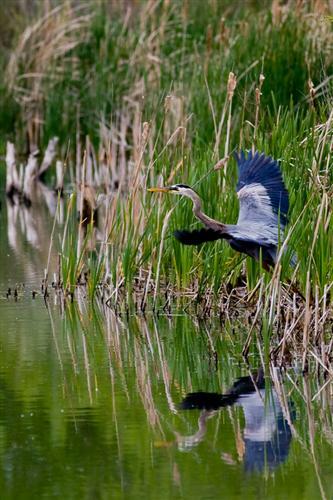 Riverbend Ponds flat trails with loop options and varied habitat appeal to many hikers and dog-walkers. The boundaries of Riverbend Ponds Natural Area slightly changed as directed in the 2011 update to the Cache La Poudre River Natural Areas Management Plan. 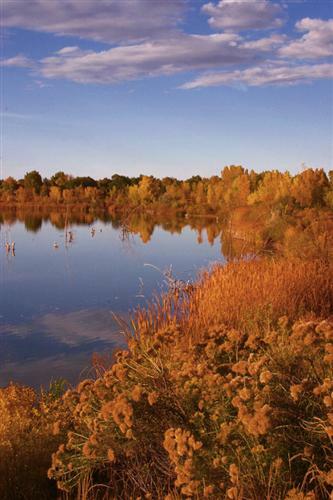 The portions of Riverbend Ponds west of Timberline Road and southwest of the Poudre River have been incorporated into Kingfisher Point and Cattail Chorus natural areas, respectively. There is little noticeable change for visitors. Parking lots on Cherly Street (off Summitview), Prospect St (between Sharp Point and Summitview), Cairnes St (off Timberline). Can also be accessed from the underpass under Prospect Rd/ Running Deer Natural Area. There is usually room for a horse trailer to park at the Prospect Street parking lot, but a spot is not designated. 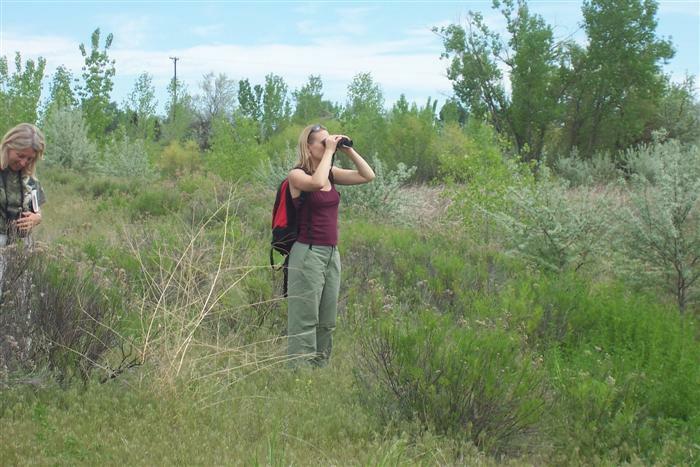 Free educational programs at Riverbend Ponds Natural Area are available for groups by request, call the Master Naturalist Program at 970-224-6118 or email YWNobGVibmlrQGZjZ292LmNvbQ== . Thank you to the Peacock Family who has taken an active role in the stewardship of Riverbend Ponds Natural Area as adopt-a-natural area volunteers through monthly litter pick-ups.